LOS ANGELES – American Jason Dufner provided the fireworks, going birdie-eagle-ace, but it was fast-finishing Swede David Lingmerth who seized the lead in the second round of the Memorial Tournament in Dublin, Ohio, on Friday. “I started giving myself some opportunities and the putts started dropping in,” the 27-year-old from Tranas told reporters after piling up seven birdies in a bogey-free display on a relatively soft layout receptive to approach shots. Seeking his first victory on the U.S. circuit after twice finishing second, Lingmerth signed off with a three-foot birdie putt at the par-four 18th to post a 12-under total of 132. 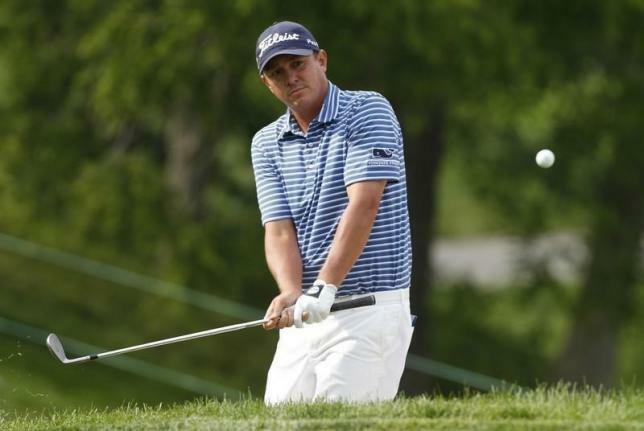 That put him a stroke in front of former PGA Championship winner Dufner, who birdied the 14th, eagled the 15th and holed out with a six-iron at the par-three 16th on the way to a roller-coaster 67. Masters champion and world number two Jordan Spieth, the highest-ranked player in the field, made a sizzling start before losing momentum after the turn to card a 70, ending the day six strokes off the pace. Five-times Memorial winner Tiger Woods, who had battled to an opening 73, also returned a 70 that included five birdies and three bogeys, all of his dropped shots coming on the back nine, to finish at one under. “Five under through three is probably the best I have ever done,” Dufner said of his stunning run from the 14th to the 16th on his outward nine. “I needed to get back. “I was kind of trending the wrong way. I think I was a couple over (par) at that point. Hit a pretty good shot on 14, great shot at 15, so kind of got the day going. “I’ve had some stretches where I’m playing some really good golf and some poor golf … I need to clean up those bad holes,” he said. England’s Andy Sullivan (64) and American Ryan Moore (67) finished at 10 under, one stroke better than defending champion Hideki Matsuyama (71) of Japan, Americans Jim Furyk (66), Brendon Todd (68) and Patrick Rodgers (66), Briton Justin Rose (67) and Italy’s Francesco Molinari (67).